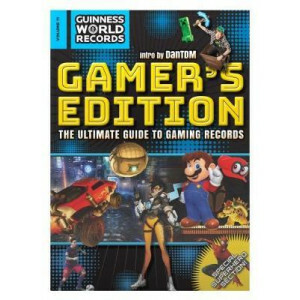 It's time to celebrate the 10th anniversary of the Guinness World Records: Gamer's Edition! 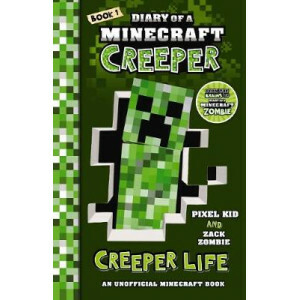 With over four million copies sold, this is the ultimate annual for every gaming fan. 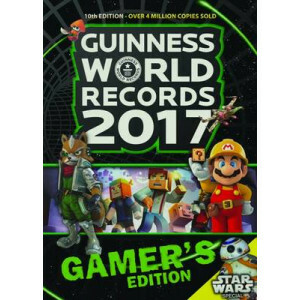 It's bursting with the..
From the global authority in record-breaking comes the 11th edition of the world's best-selling videogames annual. 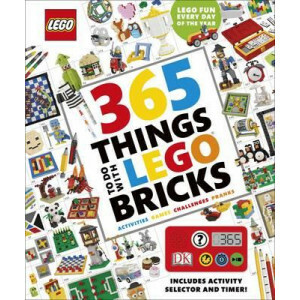 Packed with the latest records, coolest stars and the biggest games, the Guinness Wor..
365 Things to do with LEGO(R) Bricks inspires you to look at your LEGO bricks in new and exciting ways and enjoy LEGO fun every day of the year. 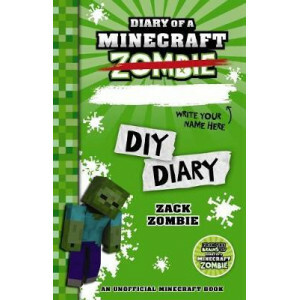 Featuring imaginative play and building ideas, from LE..
Clear and easy-to follow instructions for using coding and scripting tools to create new, more advanced Roblox games. Take your game design to the next level, with this complete guide to Roblox c.. 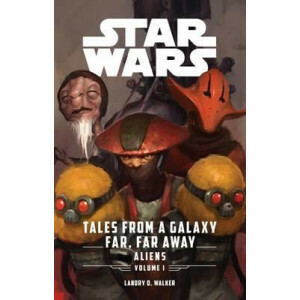 The worlds of Star Wars are full of countless alien species, each stranger and more fascinating than the last. 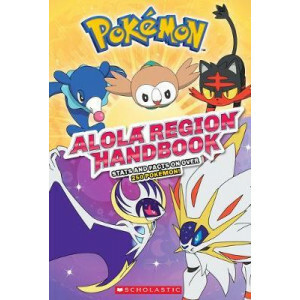 Here you'll find six stories for kids about some of the amazing aliens who appear in the ..
Meet the Pokemon of Alola! Every amazing Pokemon featured in the new Sun & Moon video games is included in this comprehensive handbook.  You'll discover stats and facts about many brand.. 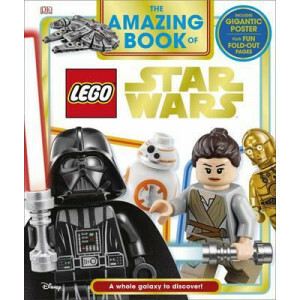 The Amazing Book of LEGO(R) Star Wars(TM) is the perfect introduction to the Star Wars universe for young fans. 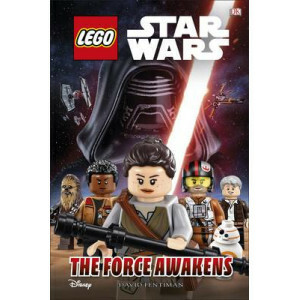 Children new to Star Wars will love discovering more about the galaxy far, far away in t.. 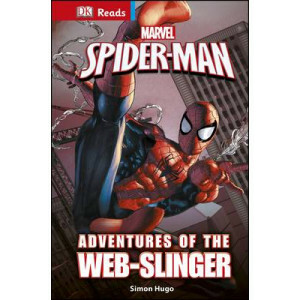 The Amazing Book of Marvel's Spider-Man is the perfect introduction to Spider-Man for young fans. 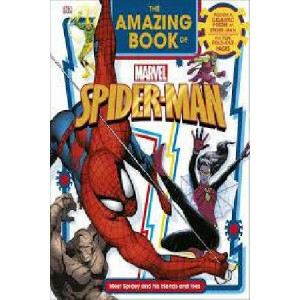 Children new to Spider-Man will love discovering more about him in this early years reference book wit.. 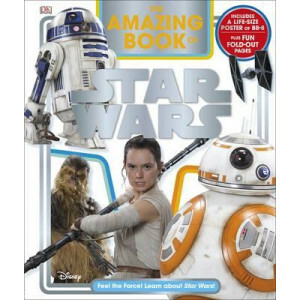 The Amazing Book of Star Wars(TM) is the perfect introduction to Star Wars for young fans. 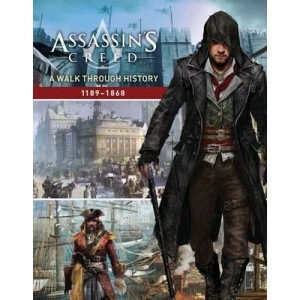 Children new to Star Wars will love discovering more about the galaxy far, far away in this early years refer..
A nonfiction guide to the time periods featured in the Assassin's Creed games - the Crusades, Italian Renaissance, Colonial Americas, French Revolution, Imperial China and Victorian England. 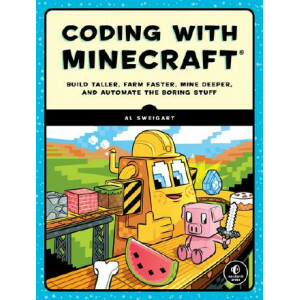 Illustrat..
A hands-on introduction to coding that teaches you how to program bots to do cool things in the game you love--Minecraft! 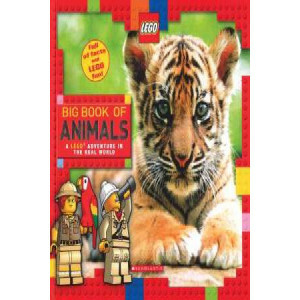 This book takes the robotic "turtle" method, and extends it to the 3D, interac..
Have a Blast Building New LEGO Toys, Animals, Scenes and Working ContraptionsTurn your pile of LEGO bricks into a day of fun! 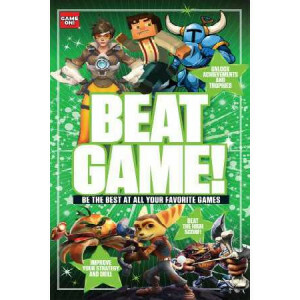 This unique activity book has step-by-step instructions and tons of photos..
Gaming cheat guides are big business: Prima Games and Brady Games create official guides to tie in with triple-A releases such as Call Of Duty and Uncharted. Super Cheat Challenges will appeal to game..
Did you know that polar bears have black skin underneath their white fur or that a giraffe's legs are taller than the average adult human? From the highest mountains to the deepest oceans, the chilly ..
With more than 100 million registered Minecraft accounts and rights picked up by Warner Brothers for a The Lego Movie style, action-adventure film, Minecraft is on its way to becoming the next big chi..
Let your creativity soar with 15 projects using interlocking bricks and to make birds from around the world. Interlocking bricks, such as LEGO(R), have fueled the imaginations of aspiring designers an..
Minecraft - a humble computer game about placing blocks - is today a global phenomenon that has captured imaginations around the world with the infinite possibilities it offers its players. Minecraft .. 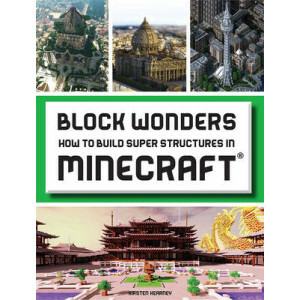 The sequel to Block City, Block Wonders showcases the most awe-inspiring buildings and structures ever created by Minecraft's huge community. 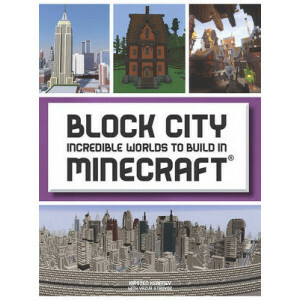 While Block City explored living, breathing cityscapes, Bl..
Love dinosaurs? Love LEGO? If the answer is yes, you'll love this book! 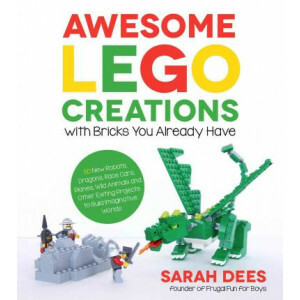 `Brick by Brick Dinosaurs' will teach you how to build amazing dino projects, giving step by step instructions - simple and easy..
Love Space? Love LEGO? 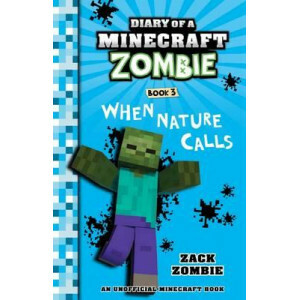 If the answer is yes, you'll love this book! `Brick by Brick Space' will teach you how to build amazing space projects, giving step by step instructions - simple and easy. And a.. 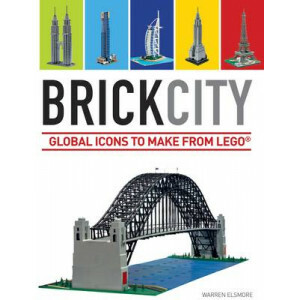 Brick City is a celebration of the world's favourite buildings and urban icons, recreated solely using Lego bricks. 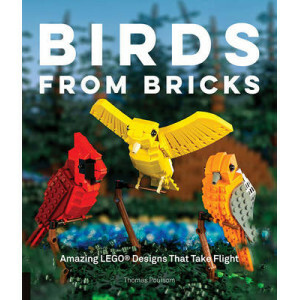 While to many, Lego bricks are 'just a toy,' to an ever-growing army of fans they pr.. 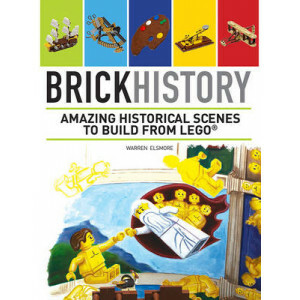 Using LEGO bricks, artist Warren Elsmore and his team recreate stunning historic scenes, from the beginning of life in the pre-historic era right through to the inauguration of Barack Obama...Brick Hi.. 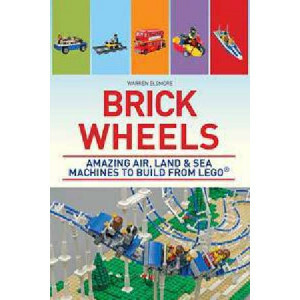 Brick Wheels is an incredible representation of manmade transport over the centuries. The book looks at some of the most fundamental developments in the world of transportation in chronological order,..
Find out everything you need to know, and more, about Steve Rogers, the First Avenger. 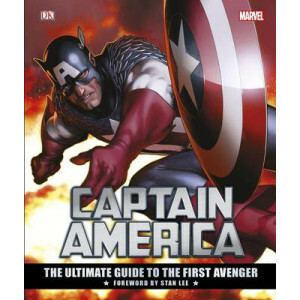 Captain America: The Ultimate Guide to the First Avenger is a comprehensive guide celebrating the exciting world ..
An activity book with exclusive LEGO(R) Batman(TM) minigifure, based on the animated film! With a mix of comics, puzzles, and activities, it? 's a great way to join the Dark Knight on his quest to save.. 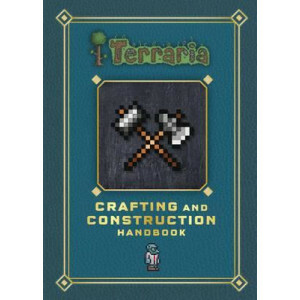 This second official handbook goes even deeper into the world of Terraria ...literally! 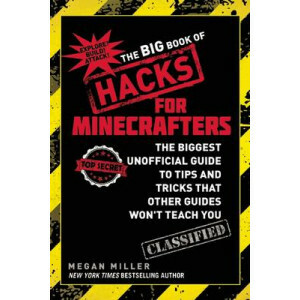 This essential guide will show you mining techniques for different terrains, almost 150 block types to build wi.. 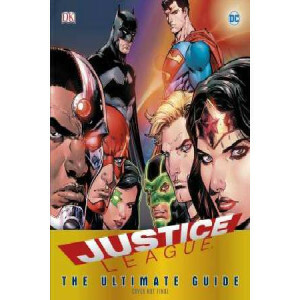 Enter the world of the Justice League (TM) and discover the heroes, villains, and adventuresThis comprehensive guide celebrates the exciting world of the iconic Justice League Super Heroes, a roster t..
Is Superman the strongest Super Hero alive? Where is Wonder Woman from? Is Darkseid the most evil Super-Villain ever? Who is the fastest man alive? Who are Batman's allies? 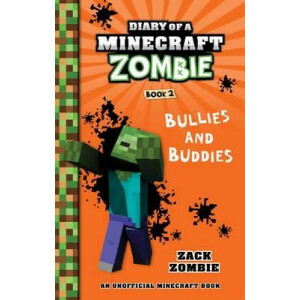 Have to know the answe..
Zombie has to deal with one of the biggest challenges he has ever faced in his preteen life...his feelings! 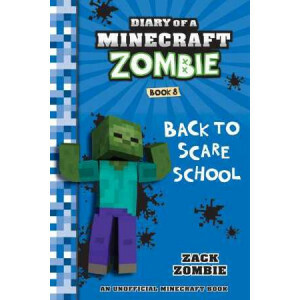 Zombie is going through some really weird changes. 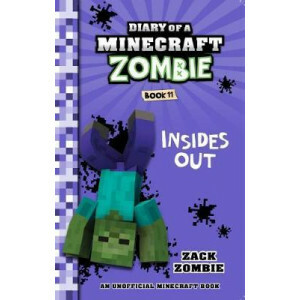 Weirder than a 13-year-old Minecraft Zo..
Have you ever wondered what life is like for a Minecraft Zombie? 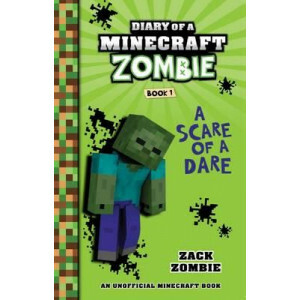 Zack Zombiejust Zombie to his friendshas his boogers, stinky feet spray and dirty underwear packed because he is going on a scare-catio..
Be the author of your very own Diary of a Minecraft Zombie book! 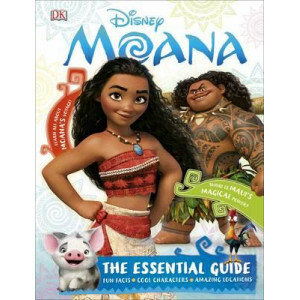 Filled with heaps of space to plan the ultimate Minecraft party, brag about your PVP wins and make your own Minecraft slime, this book ..
DK's Disney Moana: The Essential Guide is the ideal companion to Disney's new comedy-adventure. Find out everything you need to know about the newest Disney heroine, Moana, and her hero Maui, on their.. Dive into the world of Finding Dory and discover everything you ever wanted to know about this new fishy tale! 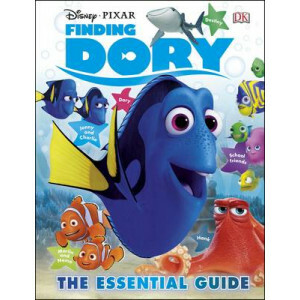 Finding Dory: The Essential Guide is the perfect partner for Disney Pixar's exciting new.. 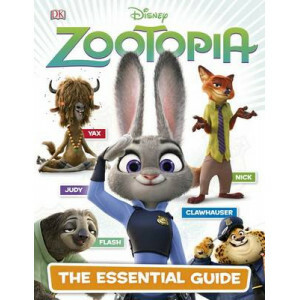 The ultimate companion to Disney Pixar's highly anticipated fourth installment in the Toy Story franchise, DK's Official Guide will cover all Toy Story 4's memorable and popular characters, plus key l..
"Zootopia" is in theater March 4, 2016!Explore the exciting new world from the new Disney movie, "Zootopia," with DK's "DIsney Zootopia: The Essential Guide," a perfect partner to the humorous new act.. Explore the awesome world of The LEGO (R) NINJAGO (R) MOVIE (TM). In DK's The LEGO NINJAGO MOVIE Reader (Level 1), find out about the villains of the movie while learning to read fluently and with sup..
DK Reader LEGO NINJAGO Ninja in Action! 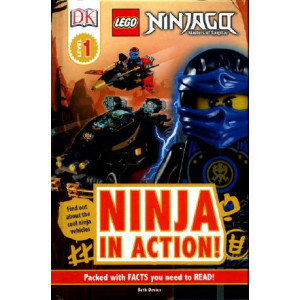 Race into battle with the LEGO (R) NINJAGO (R) heroes.Join the Ninja as they speed through the high-tech Ninjago world on bikes, jets, mechs and even dragons! 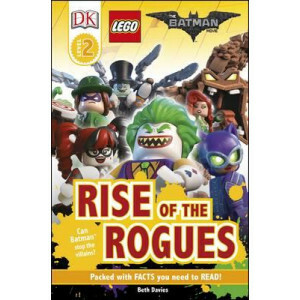 Read about how the brave heroes step aboa..
Save the day with DK Reader: The LEGO(R) Batman(TM) Movie Level 1. 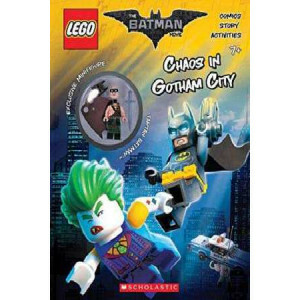 Follow Batman and Robin as they save Gotham City from the hands of The Joker. 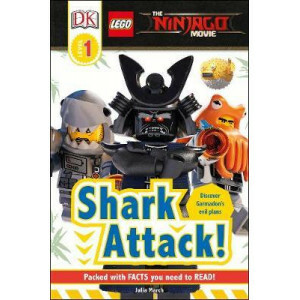 With LEGO Batman(TM) your child will learn about their .. 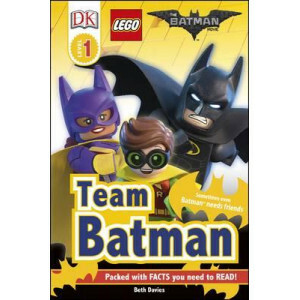 In The DK Reader: LEGO(R) Batman(TM) Movie Level 2 follows the adventures of Batman(TM) and Robin as they stop the evil villains including The Joker, from spreading havoc across Gotham City. Young rea..
Join Cole, Jay, Kai, Zane and Nya in their latest adventure across the exciting land of Ninjago. New enemies are rising! Do the team have what it takes to defeat them? 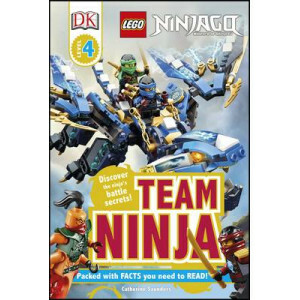 LEGO(R) NINJAGO(TM): Team Ninja..
LEGO(R) Star Wars: The Force Awakens(TM) uses LEGO sets to retell the amazing story of the latest Star Wars movie, dazzling young readers by bringing their favourite models and minifigures to life. D.. 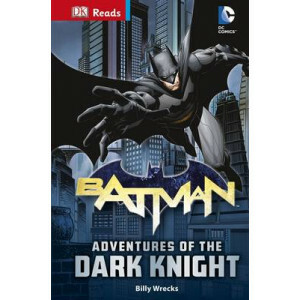 Combining DK's respected three-level reading scheme with the ever popular DC Comics super hero Batman, Batman: Adventures of the Dark Knight will help kids learn how to read - and learn how to love re..
Over billions of years of time travel, the Doctor has run into his fair share of important people - and he's formed opinions on most of them too. Now the Twelfth Doctor has got hold of a history textb.. 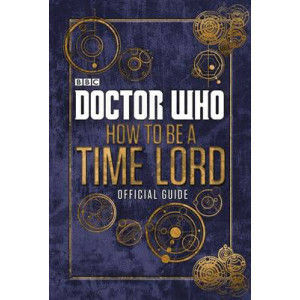 This official Doctor Who guide is essential reading for all wannabe Time Lords. 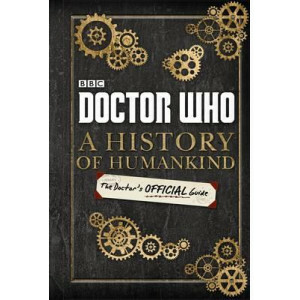 Written as a gift from the Eleventh Doctor to the newly-regenerated Twelfth, it contains everything you need to know to .. If there's one thing the Doctor ought to remember, it's this: he should never travel alone. 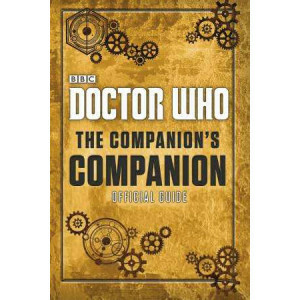 And to help make sure he always has someone suitably brilliant by his side, Clara has compiled this compreh.. 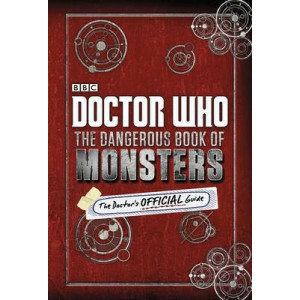 In his travels across time and space, the Doctor has met hundreds of monsters - now, he's created this handy spotter's guide to the biggest, smallest, tallest, hungriest, smelliest, and most dangerous..